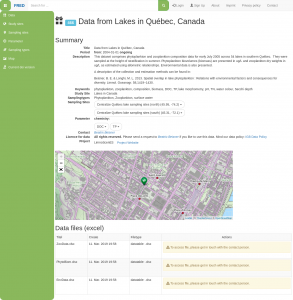 Data include a detailed meta data description of the freshwater sites and the actual data. 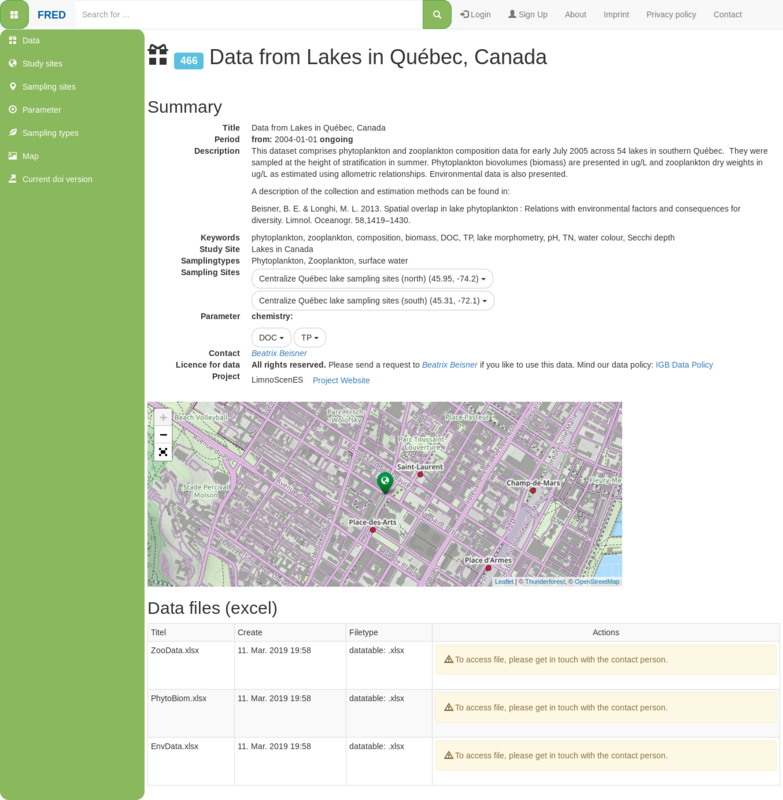 The metadata are available open access. Data will be made accessible for all LimnoScenES members and beyond upon request. 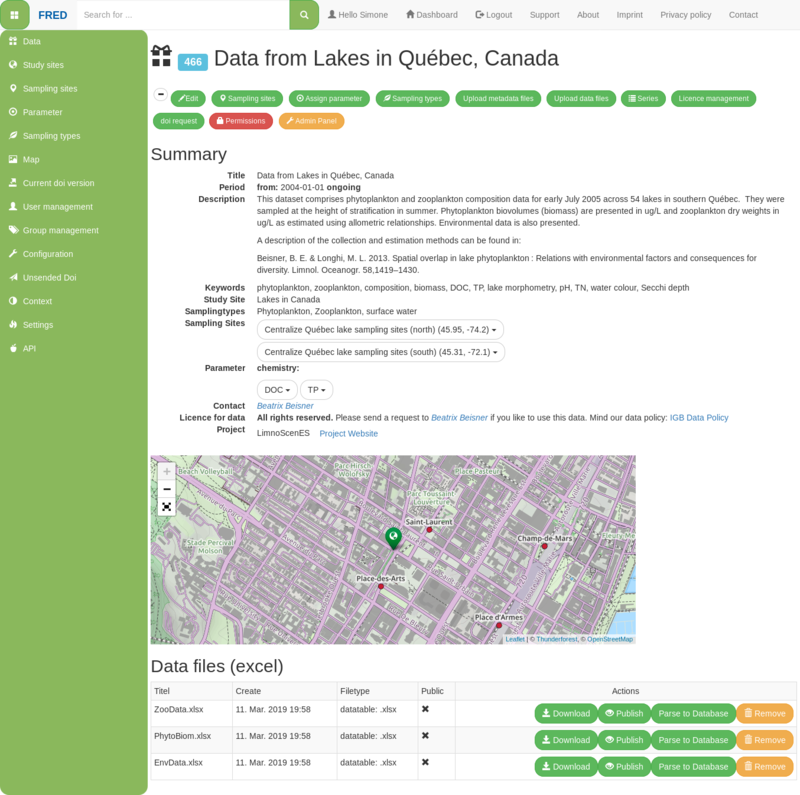 Project partner can upload data and metadata descriptions after a simple registration process. The registration requires a mandatory E-Mail address and a password of at least 8 characters. If wanted, your ORCID information can be included. FRED likes to support your research!! !